The AAA/SF Section Cross Country All-City championship meet is set for November 17 at the Polo Fields in Golden Gate Park. Athletes from 11 schools will be competing in boys and girls varsity and frosh-soph divisions. Check this link for a complete list of entries (updated 11/13/18). Races begin at 1:00pm, so come out and cheer on your favorite runners as they battle for a title and, for the varsity squads, a berth in the CIF State Meet. Decisions like this are never easy, but we need to make determinations in the best interest of our student-athletes, while balancing the potential weather change, schools' travel arrangements, recruitment of personnel to run the meet at a later date, logistics for 1400+ runners and contingency plans for state advancers. CORRECTION: It is the Central Coast Section that has officially been moved to Sunday at Toro Park. The status of Saturday's NCS final remains undetermined. Air quality remains unhealthful in parts of Northern California as a result of wildfires in the region. The Central Coast, Sac Joaquin, and San Francisco sections all rescheduled their championships, moving dates forward in hopes of better air quality. While the air quality remains unhealthful, sections are scrambling to find solutions to a challenge of running section championship meets, which also serve as qualifiers for the State Finals, scheduled Nov. 24, two days after Thanksgiving. Thank you for your patience as we work through this extremely difficult decision on our NCS cross country meet. As you are well aware, we are scheduled for Hayward HS on Saturday, Nov. 17. The latest AQI has the number at 170, but we are seeing reports that winds may begin to shift in the next day, which would improve our air quality. We may be able to make a decision one way or the other later this afternoon, however, our schools need to be prepared to wait until Friday morning as well. I realize this makes things very challenging for our schools traveling from a significant distance, but given the logistics of a meet of this size, it is imperative to wait as long as possible. As with all of our sports, we will be making the best decision possible on behalf of our student-athletes. If we are unable to run on Saturday, we will be postponed into the following week, which could be anywhere from Sunday (the CIF has given approval for sections due to this emergency situation) to Tuesday. This will depend on many factors: AQI, site availability, personnel availability, etc. We will keep everyone posted on contingency plans. 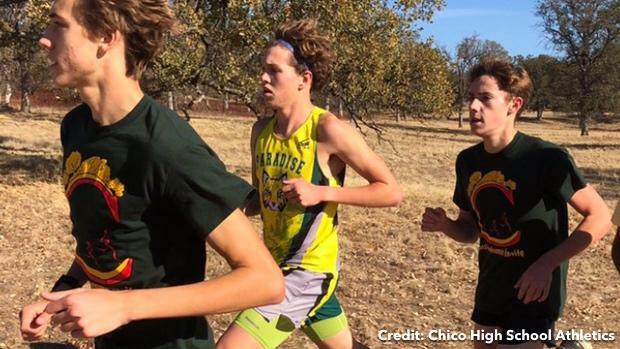 Raging wildfires in three different locations around California have affected this weekend's section championship meets. The Camp fire, which has devastated the town of Paradise (just to the southeast of Chico), has produced so much smoke that it has created serious air quality issues in the Bay Area and the northern portion of the Central Valley, including Sacramento. Conditions in that region are more severe Sunday, leading to the threat of even greater damage in the Chico area. The Nurse fire, in Solano County to the northeast of Berkeley, has contributed to the problems in the greater San Francisco and Oakland region. In Southern California, the Hill and Woolsey fires are devastating towns from Ventura in the west to Agoura Hills and Malibu in the east, impacting much of the Santa Rosa and Conejo valleys. From a Southern California high school coach: He and most of the team were still evacuated as of last night. Some of the team members have lost their homes, and many still don't know about theirs yet because they haven't been able to get back into their neighborhoods. From a former prominent Southern California coach: Much of Paramount Ranch, Reagan's Ranch, and Malibu Creek State Park (all big training areas for local teams) are burned. The flames missed his house in one of the smaller canyons, but burned many of the surrounding neighborhoods. Lots of damage on the southern and eastern sides of Agoura Hills, including Cheseboro Canyon (the Woolsey fire started on the edge of Simi Valley and spread this way first). This includes the western edge of Calabasas, although I haven't heard from anyone there yet. The Northern Section finals were held on Thursday as the Camp fire was destroying the town of Paradise. Six runners from Paradise Senior High -- five girls and one boy, Patrick Roehling -- were onsite and competed at West Valley High in Cottonwood, 75 miles away. What a day. First off thank you to all Chico runners and West Valley for what they did today. Due to the fires Gabe Price wasnt able to run on Thursday. Well it happened. Today we meet up there to qualify. Gabe didn't have shoes but no worries a Chico parent had him covered. I was wearing shoes 2 sizes to big along with my pants that were too big because I lost all mine in the fire but no worries West Valley volleyball coaches had me covered. Thanks to Anne Janc-Stearns who got donations for our student athletes. The way people came together today was unbelievable. We all lost everything together let's begin to build everything together. The fire may have taken our homes but it didn't take the love we all have for one another. Great job Gabe!!! Gabe Price and Patrick Roehling will be going to state. Many more deserved to go but under the circumstances it wasn't possible. Stay strong BOBCATS!!! Because of poor air quality in the Bay Area as a result of wildfires in the region, the All-City Finals scheduled for Wednesday have been moved to Friday. The meet will be held at Golden Gate Park as scheduled. "…due to continued poor air quality the CCS X-C Meet will be postponed to Sat, Nov 17th at Crystal Springs with the same time/race schedule..."
This meet was tentatively rescheduled for Monday, Nov. 12, pending an evaluation of air quality. The SJS finals scheduled for this Saturday have been pushed back one week due to air quality issues. They will run Saturday, 11/17 on the same schedule, at Willow Hills. Due to air quality issues, the LA City Prelims were cancelled. All teams and individuals automatically advance to next weekend's finals, also scheduled to be at Pierce College (which is currently being used as an evacuation site for animals moved out of the path of the Woolsey fire. We also know that parts of Malibu to the west of Pepperdine were the hardest hit on Friday and Saturday, and that area includes many members of the Malibu team. We know that some team members have lost homes, and many may not have been able to return to see if their houses are intact. If there are any further updates, we will post them on this page. Our hearts and minds are with all the families displaced and otherwise affected by these disasters. 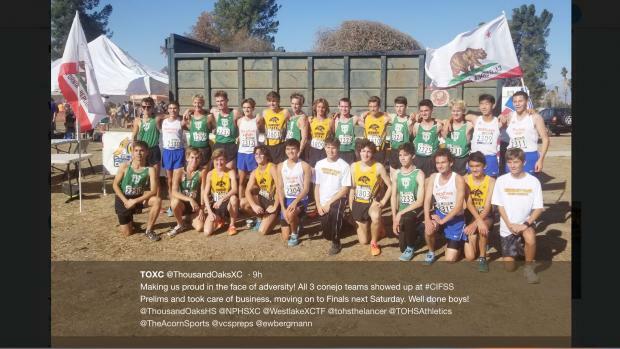 MileSplit California editor Jeffrey Parenti and senior editor Jeff George contributed to his report.